This is a coach’s forum. Almost all of you do this. I am a physical therapist and a write about sports medicine. Check out my other posts under General Conditioning. I have always loved sports and that is what pushed me towards sports rehab in general. My kids, by proxy, are now enjoying sports. 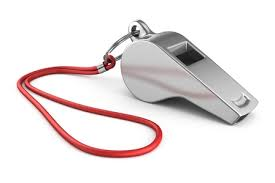 I have helped organize, drive, referee, etc., but I have never coached – until now! As coaches, you also had a first time. Do you remember? Were you organized? Did you want to be John Wooden on day one? I am looking forward to my adventures. I realize it is about the team and the kid’s growth, but I think the season will be fun. Did I mention the gig is 5th and 6th grade basketball at the church? This is not the final of the ACC tournament in March. I will chronicle my adventures as a sports physical therapist trying to coach youth basketball here. 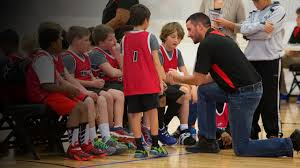 We will have unique introductions including a flag and cross, team water bottles, a special team prayer, oranges at halftime, a church first attitude, and play hard but have a lot of fun. Let me know if I am off base on any of these. And, we will stretch and warm up!!! I am a medical professional after all. Static stretching – yes. Dynamic warm up – yes. Shuffling, backpedalling, and sprinting – yes. Wish me, and the Buckeyes, good luck in 2018!!! NewerTennis - General | A tennis workout routine is more than just a casual daily practice regimen. In order to play at an elite level of tennis, only the best tennis workout routine will suffice.